The arrangements between drug manufacturers and insurance middlemen are accelerating price increases. When you step up to the pharmacy counter to get your prescription, a deal has already been struck behind the scenes between two major players in the supply chain: drug makers and pharmacy benefit managers, like CVS Caremark. Your financial wellbeing is not the first priority in this arrangement, say critics. That’s because both PBMs and drug makers stand to benefit when a medicine price is high. PBMs negotiate discounts with manufacturers on behalf of insurance carriers and businesses, trade unions and school systems that provide health care benefits to employees. Aside from CVS Caremark, the largest are Express Scripts and UnitedHealth Group’s OptumRx. The two are “taking advantage of a capitalist system,” said Tim Thomas, a Colorado consultant who advises self-insured employers about rebate contracts with PBMs. Thomas owns Crystal Clear Rx and says that PBMs are “demanding bigger rebates, so pharmaceutical companies have to raise prices to pay for them.” Thomas has worked as a pharmacist, run his own PBM and worked for one of the big players, HealthTrans. The PBM industry denies the connection and points the finger of blame at drug makers. 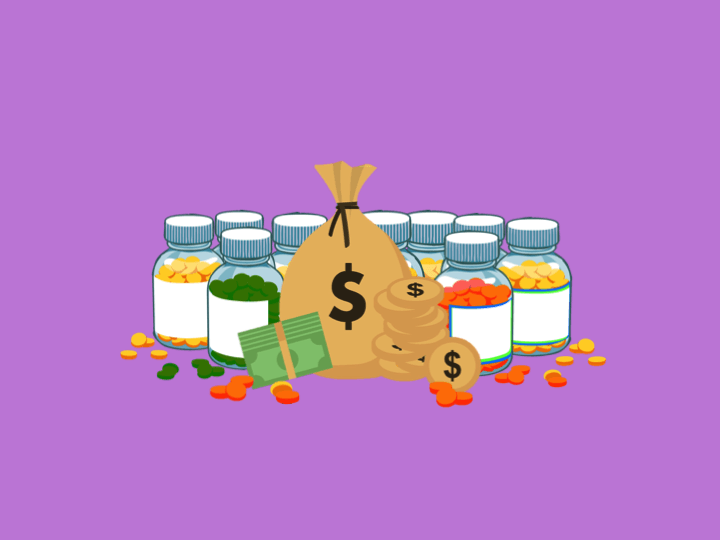 In a 2017 industry-funded study, the Pharmaceutical Care Management Association asserted that “drug makers raise prices even when rebates are low in major drug categories.” That includes medicines for multiple sclerosis, rheumatoid arthritis and anticonvulsants. That assertion was countered by PCMA president Mark Merritt, who implicated drug makers and denied that PBMs are at fault. “Mylan didn’t raise EpiPen prices by 400 percent because of the supply chain,” he said, attributing increases instead to supply and demand. It’s a “circular firing squad,” said Craig Oberg, managing consultant at The Burchfield Group. Oberg is a consultant who advises self-insured employers on contracts with PBMs. As he sees it, his job is to keep PBMs from hiding discounts and rebates from the employers. The drug industry trade group PhRMA did not respond to Tarbell’s requests for comment for this story. It’s clear that prescription drug prices and rebates are going up. Prices for drugs currently on the market increased an average of nearly 10 percent annually over the last several years, according to a Commonwealth Fund study conducted by former Democratic Rep. Henry Waxman. Concurrently, rebates are also increasing. In the Medicare prescription drug program, Part D, rebates now account for 23.8 percent of total drug spending, which is up significantly from 8.6 percent when the program started a decade ago, according to a Kaiser Family Foundation report based on the 2017 Medicare trustees report. The PBMs’ leverage comes from their power to create preferred drug lists, called formularies. The PBM decides which drugs an insurance plan will cover. Because there are often multiple medicines that can accomplish the same goal, sometimes competing drugs are excluded from a formulary altogether. Because manufacturers want their drugs included, there’s an incentive for them to offer PBMs large rebates. PBMs often make formulary decisions based on the products that are generating the most rebates, and “that may or may not be the best choice for the payer or the patient,” says Thomas. Employers and health plans, meanwhile, want all of the rebates and discounts to pass through the PBM and come to them, but the fog surrounding the process makes no guarantees. The PBM passes some of the rebates directly through to them, and experts say lower premiums for consumers have resulted. Still, PBMs keep an undisclosed chunk of the rebates, discounts and fees. “Different PBMs call them different things, such as data processing, formulary management fees, and clinical programming fees,” says Oberg. But each negotiation is different, which is why consultants like Oberg and Thomas say they are increasingly busy. Their goal is to make sure the entire rebate that comes from the manufacturer to the PBM is passed through to their clients. Thomas lists three basic types of PBMs. Traditional players like Express Scripts and CVS Caremark make their money off rebates and discounts from manufacturers, taking a cut of retail pharmacy sales and by running their own specialty and mail-order pharmacies. The next group is called transparent PBMs, which supply a bit more information about where the dollars go. “It’s like being told there is money in your house but you have to find it,” Thomas explains. The third kind is pass-through PBMs like Navitus, Maxcare and Transparent Rx that promote themselves as taking no spread and sending on all rebates directly to the client. Few operate their own pharmacies. They make their money by charging a set administrative fee per employee covered. Manufacturer rebates to PBMs range between 5 percent and 20 percent, says Thomas, adding that PBMs sometimes get an extra percentage for including a drug on a formulary and receive market share bonuses when they sell above the national average for a specific medication. But none of the above makes any difference if the contract is pitted against you, says Linda Cahn, CEO of Pharmacy Benefits Consultants in Morristown, NJ. Cahn specializes in writing Requests for Proposals that eliminate PBM-friendly loopholes. To protect her clients, her standard 100-page contract includes a list of every specialty drug – more than 1,000 – and a drug-by-drug minimum guaranteed discount for every medicine, as well as a default discount guarantee for any new-to-market specialty drug (about 30 to 40 drugs every year). Thomas concentrates on provisions related to Average Wholesale Price, which, despite the name, “isn’t an average at all,” he says. “AWP really stands for Ain’t What’s Paid.” The problem, he says, is that the AWP for a drug is variable and set by the PBM. That’s often done by creating a new package size, says Byron Mickle senior vice president, sales and marketing for Navitus. If a contract has a 50 percent discount for a drug at $10, a PBM can set a new 90-day supply at $15 and clear $7.50 – a 50 percent increase. PBMs also sometimes boost the AWP when a manufacturer raises the price on a specific drug, even if the PBM has stock purchased at an earlier, lower cost. It’s much the same as a gas station raising prices at the pump when it paid less for the fuel in the tank underground. “We charge the old price until old inventory is gone,” Mickel says. Consultants say they also watch for manipulations in the formulary list. The drug Vemovo, for instance, is a combination of esomeprazole and naproxen and is used for pain relief for arthritis. While it can cost as much as $1,500 a script, the two drugs can be purchased separately for a fraction of the cost, says Thomas. For that to really be true, it takes very careful auditing, say consultants. The key is to demand access to individual claim-level data on every transaction – something many PBMS are loath to provide. Thomas’ company runs regular algorithms to see if the client is getting the right deal. He says he once found a $1.9 million overcharge. While consumers might get a lower insurance premium because of PBM negotiated rebates, they’re getting a raw deal at the pharmacy counter because out-of-pocket costs are often based on the original price set by the manufacturer, before rebates and discounts are factored in. Those discounts come after the drug is purchased. The Centers for Medicare & Medicaid Services (CMS) is able to clear the haze a little because it requires reporting of rebate numbers, and of other additional compensation that come after the point of sale, neither of which the consumer benefits from. It’s like going to shop at Macy’s the day before the sale. “Part D sponsors and PBMs are engaging to a greater extent in arrangements that feature compensation, [such as rebates, which come] after the point of sale, and the value of such compensation is also generally increasing,” according to 2017 CMS calculations. That means more rebate dollars to bring down overall prescription drug costs in Medicare, and some of that money also helps lower premiums for beneficiaries. However, the negotiated rebates don’t apply to the patient’s out-of-pocket costs, so any deductibles, co-payments and cost-sharing are based on retail prices before these discounts.